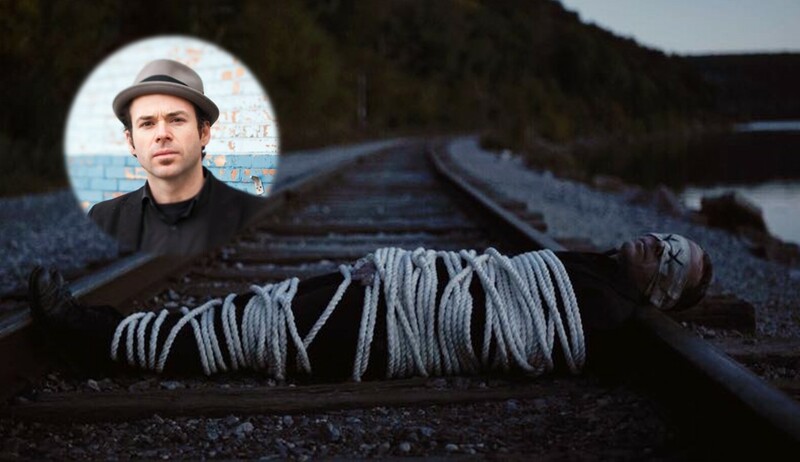 If you haven't stumbled upon Mike Mangione & The Kin yet, pause for a moment and check out their captivating new music video! Mike Mangione & The Kin‘s track “Riding Down” now has a fascinating music video to accompany the spellbinding tune. The protagonist featured in the clip is breaking free and seeking new possibilities in the unknown. “We wanted imagery that played with freedom vs. being bound…so we tied me up and set that kid off on a journey. Truth is, we are always somewhere between those two places and this song/video is meant to add imagery to that reality,” Mangione shared about the engrossing visual story. Enjoy the exclusive premiere of the official “Riding Down” music video below! Doesn’t this music video feel like an amazing trailer for a new Netflix series? We want to follow this young man on his trek and discover his ultimate destination— if he even has one in mind. “Riding Down” can be found on Mike Mangione & The Kin’s 10-song album But I’ve Seen The Stars, which debuted in October. Mangione has been releasing his brand of orchestral folk-rock for over a decade now and formed Mike Mangione & The Kin (which is made up of his brother Thomas Mangione, Josh Collazo, Seth Ford-Young, Chauntee Ross, and Monique Ross) after his former group, Mike Mangione & The Union, dissolved in 2014. Be sure to share Mike Mangione & The Kin’s latest with others who would appreciate their refreshing and eclectic sound!